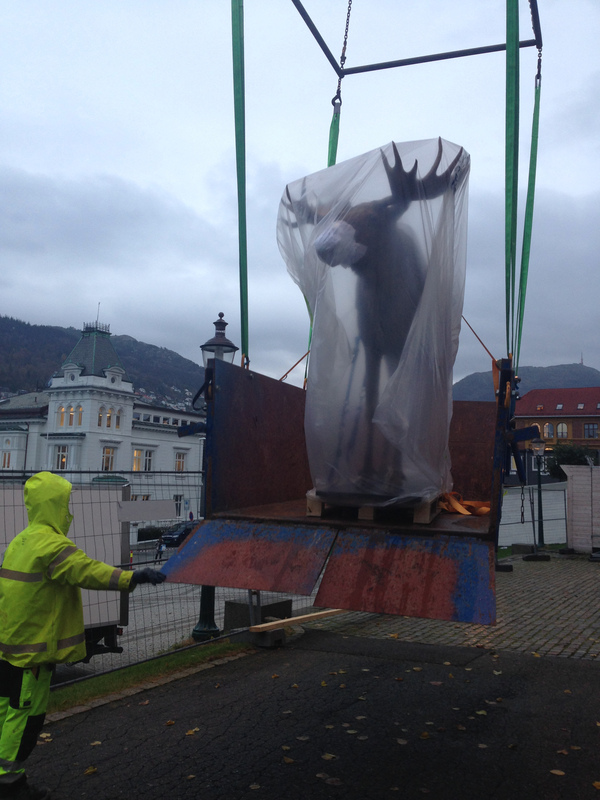 As promised this week’s post is about how we got the big animals out a window. 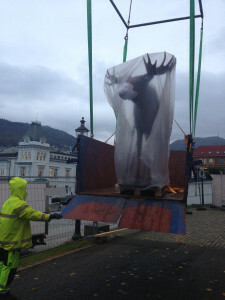 Moose being offloaded from the crane. 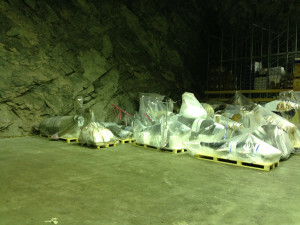 All mounted animals were secured to a pallet and cowered with plastic. Approximately 60 animals had to be moved out within a week. There wasn’t room for all the animals in our own climatically stable freezer. Instead we got freezing opportunity for the objects at a local industrial freezing facility with lots of room. 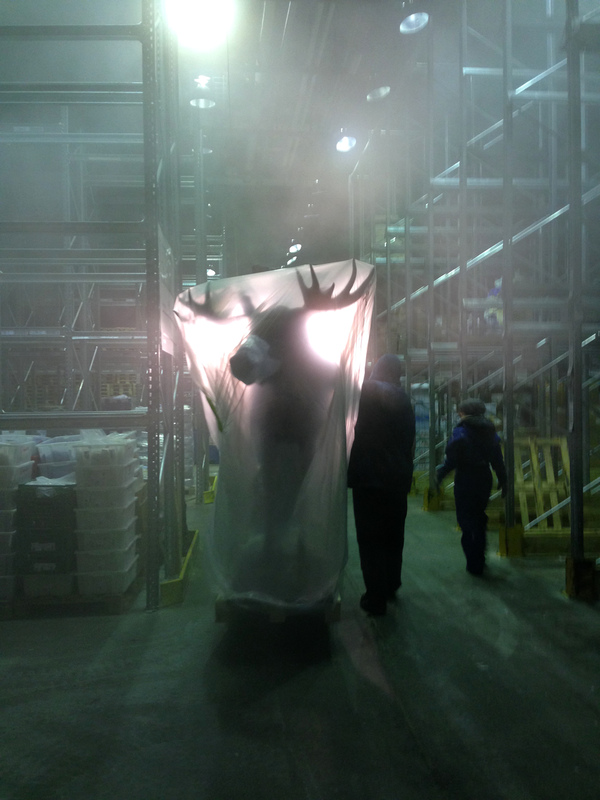 Moose going into freezing storage. All the animals in industrial freezing storage. To read why we freeze things visit our old post Danger! Danger! Insects! or Mr. Freeze.